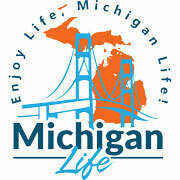 From Cross-country skiing, snowshoeing and winter hiking and are great fun in Michigan Life's Region 11 Charlevoix Area including Charlevoix County, Cheboygan County, Emmet County, Presque Isle County Michigan. Castle Farms is one of Michigan’s premier historical attractions! Whether you’re on a travel adventure or searching for the perfect site to exchange marriage vows, this French Renaissance-style castle offers the perfect blend of old-world charm and modern-day elegance.